This statement by Michael D’Arcy, Minister of State at the Department of Finance, at the British Irish Chamber of Commerce’s meeting at Ulster Bank’s headquarters last week is both welcome and important. The benefits that can derive from a greater capital markets pool within the European Union will be felt by Irish companies and businesses, both large and small, as well the financial services firms that lend to them. It is important, as the minister stressed, that in the limited time available to this EU Parliament and Commission, that there is a real focus on those parts of the CMU action plan that can be completed. That action plan is designed to build a deep and integrated EU capital markets union to improve access to capital for businesses, promoting growth and job creation. Brexit can act as a positive stimulus: By taking that focus and acting now, the Commission can use Brexit as a positive stimulus to achieving one of the principal elements of the wider EU’s financial services agenda. We have seen how the financial crisis pushed the Commission into producing more than 40 legislative measures with three identifiable objectives: creating new rules for the EU’s financial system; establishing a safe, responsible and growth-enhancing EU financial sector; and creating a banking union to strengthen the euro. Laws were also adopted to tackle excessive volatility in financial markets, including new rules on hedge funds, short selling, credit rating agencies and derivatives. There is universal agreement that Europe needs deeper capital markets to increase financing in the wider economy. Equally, EU businesses need a broader range of funding options to grow and create jobs and deeper capital markets are crucial for long-term investment by such businesses. The EU’s CMU initiative is designed to meet these needs and is, arguably, the EU’s best initiative. Well over half of the tasks initially envisaged in the Commission’s action plan for the CMU Union have already been realised. This includes an agreement to revamp the securitisation market and new rules governing prospectuses. Brexit makes the case for CMU stronger and more urgent. One implication of Brexit for the CMU project is that it raises questions on the future financial ties between the UK and the EU. Can UK-based financial firms maintain their access to the Single Market and, if not, how does this impact different capital market segments? A possible option would be to establish a single common regulator for CMU responsible for overseeing the development of capital markets and ensuring the application of harmonised regulation across the EU. It may even be possible to persuade the UK to work with such a regulator. Third Country access: As all those involved in financial services are aware, Brexit is already impacting on the EU’s access regime for non-EU financial service providers. Post Brexit, the UK will be a non-EU country, a so-called ‘third country’. In 2017 the Commission published proposals which, if adopted, will impose more robust requirements on third country counterparties that are important for the EU. In this regard the role of the European Securities and Markets Authority (ESMA), an independent EU authority that contributes to safeguarding the stability of the EU’s financial system, may prove to be very important. Its role is to enhance the protection of investors and promote stable and orderly financial markets. Thus, in the context of the CMU, ESMA has published principles designed to ensure consistency in the authorisation and supervision of entities relocation from the UK to remaining EU Member States. Thus, ultimately, Brexit may lead to a more streamlined approach to third country (ie, UK) access across all financial services, including potentially a “single point of access” arrangement. The Single Rulebook: This is the backbone of the EU’s banking union and the financial sector regulation in general. It consists of legal acts that all financial institutions in the EU must comply with. Thus, for example, it lays down capital requirements for banks, it ensures better protection for depositors and it regulates the prevention and management of bank failures. Brexit is likely to impact the Single Rulebook. For example, it currently contains a number of national discretions which create the potential for regulatory or supervisory arbitrage. We expect that Brexit will provide the (and, indeed, there is evidence already of) impetus for a reduction in those discretions and, as a result, increased harmonisation of EU financial services. Financial supervision: Brexit will impact the European supervisory authorities (ESAs) in diverse ways. Most obviously, it will provide momentum to the proposals to fund the ESAs from industry levies, as Brexit will reduce the EU’s budget. Brexit may also lead to an increase in the ESAs’ roles and powers, leading to stronger supervisory convergence. 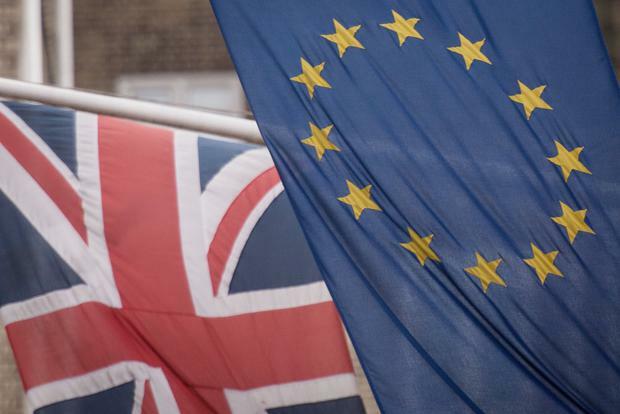 The UK has argued against conferring the ESAs with direct supervisory authority but Brexit will deplete the ranks of those member states seeking to limit the ESAs’ powers. Conclusion: It seems clear that the EU’s ambitious plans for the EU’s financial sector will not be derailed by Brexit. On the contrary, Ireland and many other member states are advocating the acceleration of the completion of the capital markets union to counter the disruption of Brexit. Minister D’Arcy’s call to action is timely. He highlighted some proposals which are important to Ireland, including investment firm review, cross border distribution of funds, sustainable finance and fintech. If CMU is advanced as advocated, then we should see an increase in our share of international financial services.